Last Friday I decided I was food truckin' for lunch. 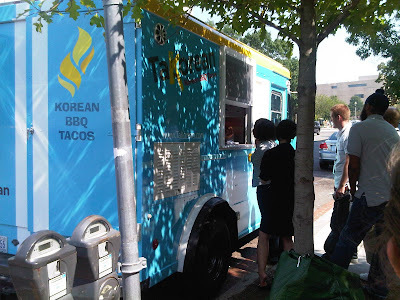 I headed over to L'Enfant (the new food truck central), and stumbled upon Takorean, a Korean bbq taco food truck. The line was incredibly long, but my heart was set on food truck food and this was a new one for me. Besides, good things have long lines. 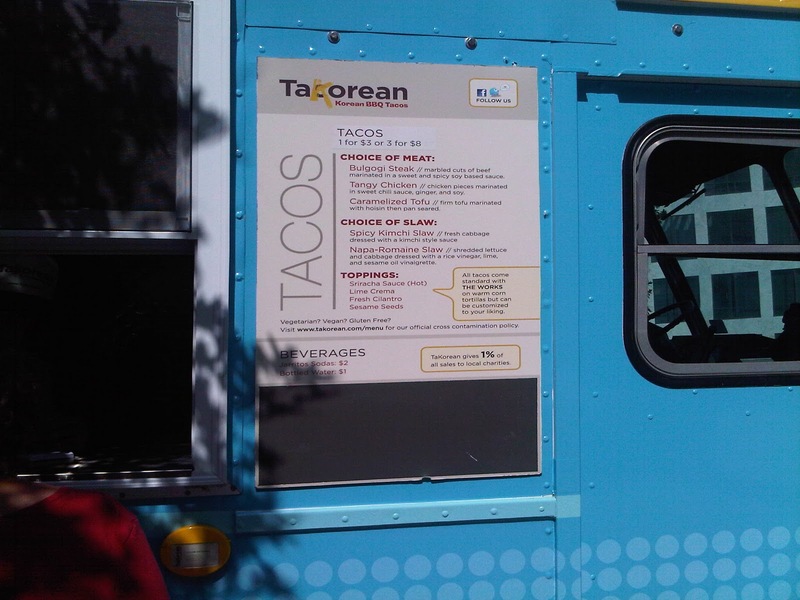 I start to smell the tacos and hear the oldies bumpin' from the truck. 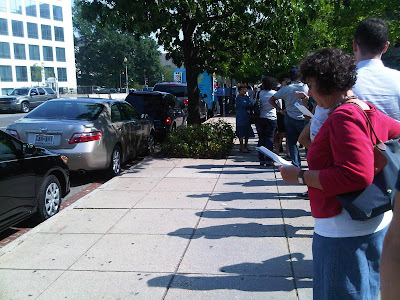 45 minutes later: It's my turn! "The Works" (sriracha sauce, fresh cilantro, Sesame seeds), minus the Lime Crema (I figured it was like sour cream, and I HATE sour cream). At first sight I didn't think the tacos looked big enough to satisfy my hunger (boys: you should order the 3/$8 deal), but I was completely full by the time I polished off the second taco. 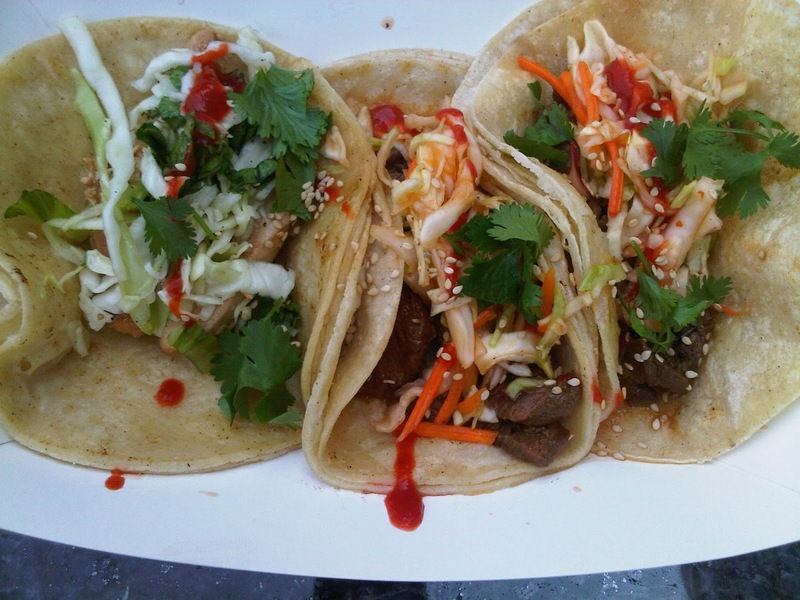 Each taco was served on 3 warm tortillas which helped me keep the taco together while I chowed down. All the tacos were great, although I definitely preferred my Bulgogi Steak Taco with Spicy Kimchi Slaw. 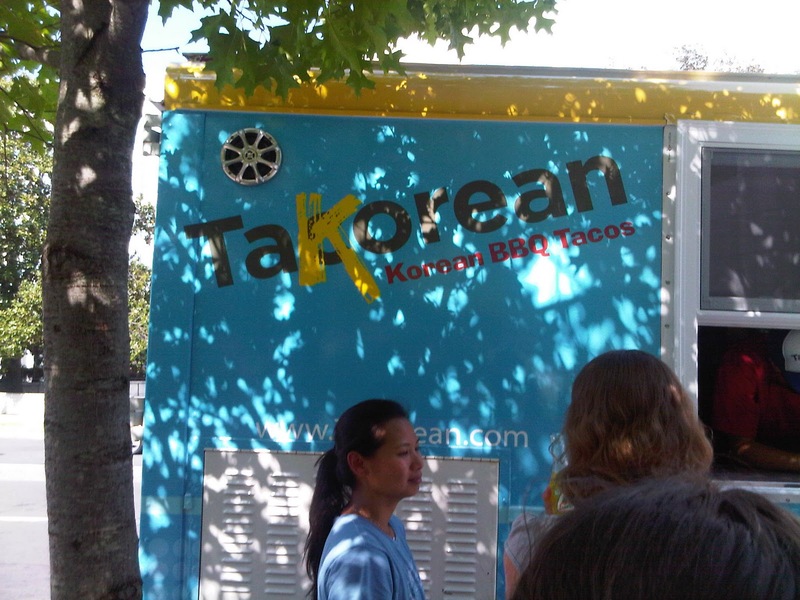 If Takorean swings by your place of work, tell your boss your taking a long lunch. These tacos are worth it.